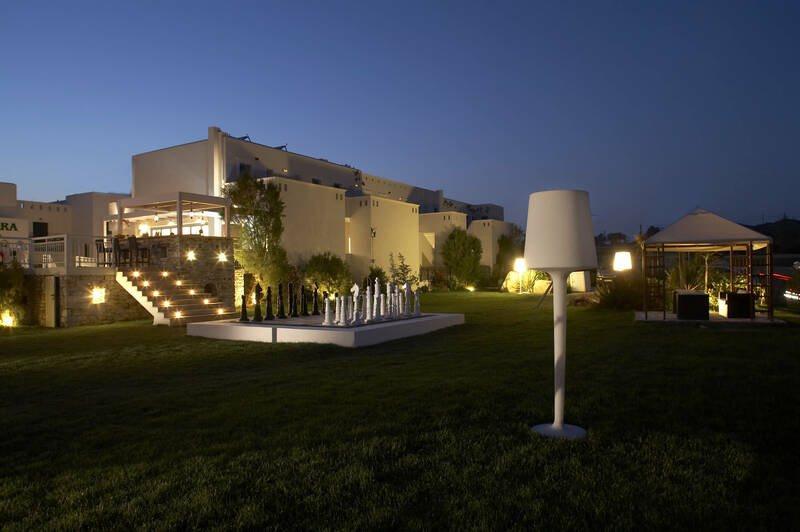 The Lagos Mare boutique beach hotel is ideally situated close to the renowned sandy beach of Agios Prokopios on the island of Naxos, among the most accredited beaches in the Mediterranean. 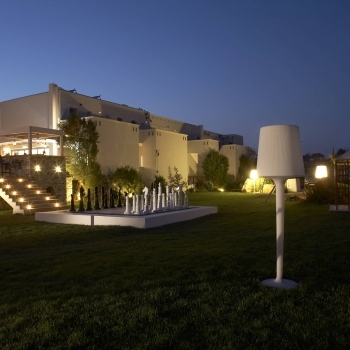 This intimate seaside hotel is located almost 5 km away from Naxos town, allowing for a relaxing and authentic vacation. 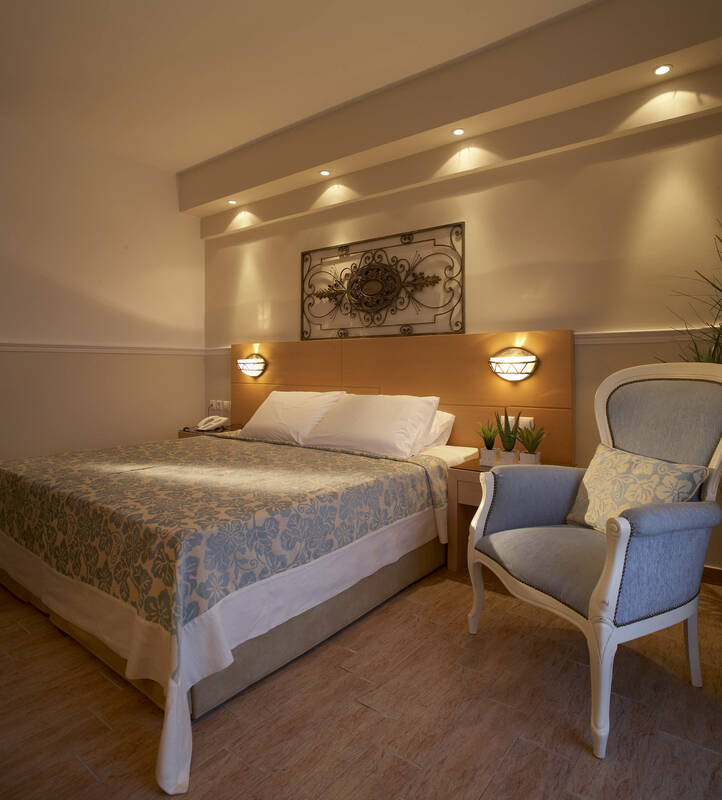 This boutique hotel has been designed based on traditional Cycladic architecture, and the property provides its guests with a variety of facilities and personalized services. 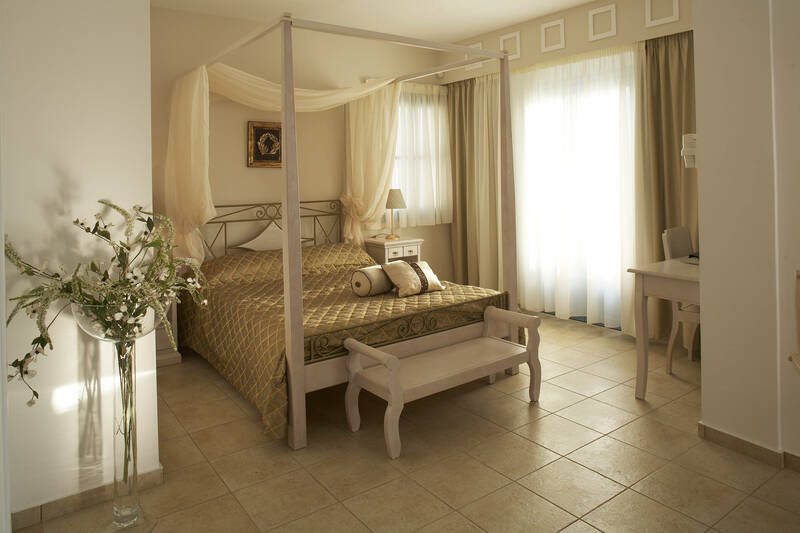 The Lagos Mare's rooms and suites are fully equipped and carefully designed, ensuring a pleasant stay for couples and families while on the island of Naxos. The outdoor and indoor facilities of the Lagos Mare boutique hotel rejuvenate the body and mind, creating a tranquil and elegant environment for a short or long vacation. 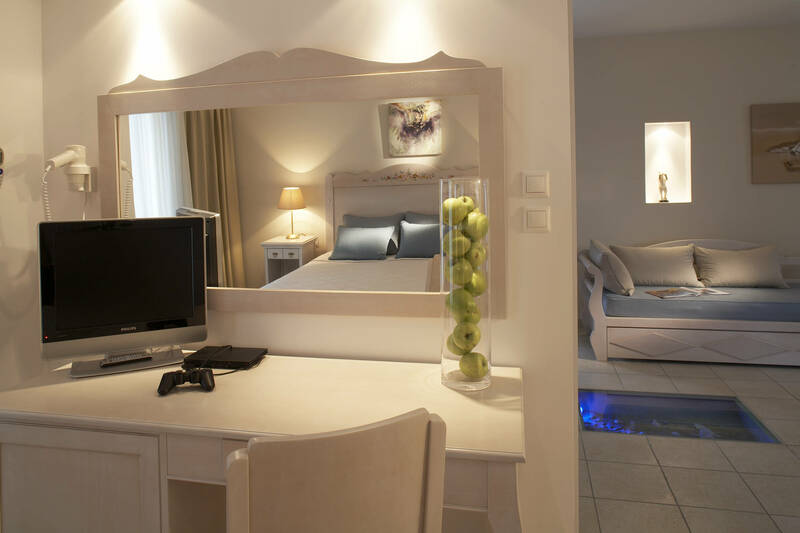 The successful combination of a family-run hotel, personalized service, and modern facilities make this Naxos beach hotel one of the top choices for accommodation on the beautiful island of Naxos. Two swimming pools, children's pool, pool bar & restaurant, 1924 restaurant with authentic Naxian cuisine, playground with safety floor, games room, beauty & wellness center (sauna, hamam, massage treatments), fully equipped fitness room, conference & meetings center, library, lift. Individually controlled air-conditioning / heating, LCD TV / Satellite TV, hydro-massage jet, private Jacuzzi, orthopedic mattress, high-speed internet access, direct-dial phone, mini bar, modern equipped bathroom, luxury bath amenities, hairdryer, safety deposit box, balcony with front or side sea view or pool view, Nespresso coffee machine. 24hr reception desk, room service, daily or twice daily maid service, transfers from/to port/airport, tours, cruises, horseback riding, trekking and hiking activities, special snorkelling & diving activities for beginners and professionals, car & motorbike rental, doctor on call, babysitting (evening hours), daily newspapers delivered directly to your room upon request, laundry & dry cleaning service, laptop upon request. Customer Responses: 52 What's This?